Jim Collis and his wife Sally manage Glen Hope, the 14,000 acre farming operation in Beckom, NSW which has been in his family for generations. Specialising in broad acre cropping, they produce a variety of grain including wheat, barley, canola and lupin. They also run sheep, producing prime lambs as their main source of revenue from their flock of first cross ewes. “My dad was a farmer, though his life was tragically cut short when I was 3,” Jim says. With a strong farming ethos in his blood, Jim saw that to bring the business into the future things had to change. Jim stored grain in silo bags but was growing frustrated with inefficient sealage, fumigation and marketability. So when it came to choosing a new grain storage system, another big consideration for Jim was capacity. He wanted a solution that would enable him to hold more grain for longer. In providing him an additional 1600 tonnes more storage, the Allied Grain Systems solution has changed the face of Jim’s business, particularly when it comes to harvesting the grain. 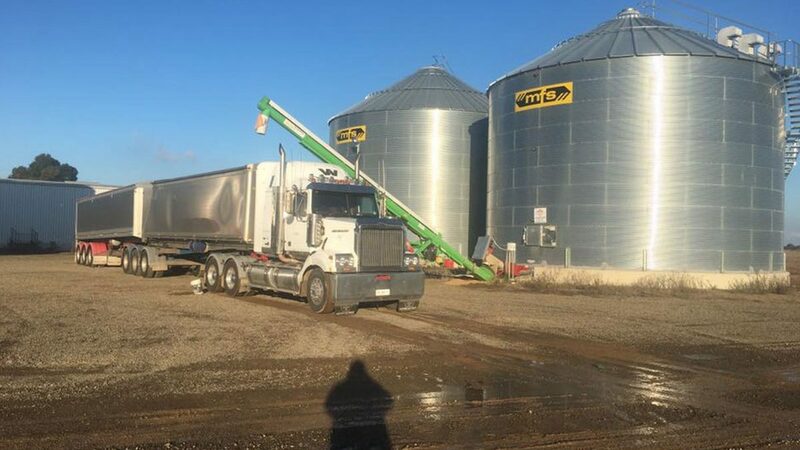 “Particularly when it comes to feed grain which is better if you can sell off-farm,” Jim says. With so many competing manufacturers to choose from, what made Jim decide to go with Allied?